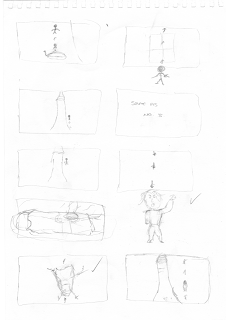 Ive finished my set of storyboards as well as my animatic, which I will upload tommorow, when I'm in Uni. 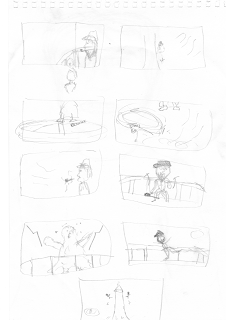 I must admit, I'm not happy with my storyboarding at all. I like the pace of it, but I feel like I haven't explored the characters enough and I could have used some more daring camera angles. 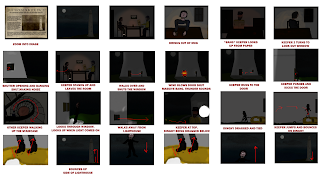 Had I been given another couple of weeks I would definitely start from scratch with my storyboarding and improve the characters. 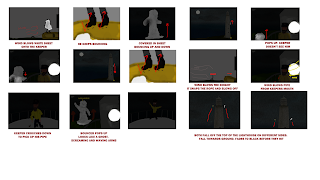 Here are my storyboards, my animatic contains a lot more images as I added in more frames. Hopefully it portrays the story well enough. I'm now working on my Pre-viz, which I want to produce well, so tommorow will be a very long day. Nice work Sam. I have done my storyboad very similar. I've done everything now (need to do a huge blog update) I've worked flat out to get the work done over the past 3 days. A word of warning. 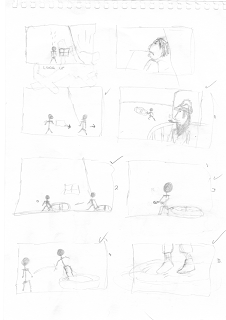 Do not underestimate the pre-vis or animatic like I did.